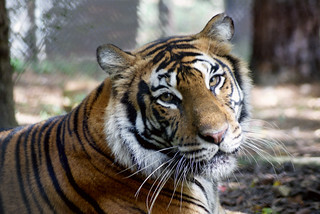 From fur farm, private home, breeding and cub-petting facility, to forever home at Carolina Tiger Rescue. Toby has had a long road but will live the rest of his life with the respect wild cats deserve. Toby had a long road to Carolina Tiger Rescue. He was originally bred at a fur farm and was supposed to be used for a coat. But when a couple went to pick out their coat, they saw Toby and fell in love with him. They decided to purchase him and bring him home. Toby’s owners ran into some trouble with their neighbors for having the wild cat. They then sent him to a facility in Colorado that continued to let them have contact with Toby; this facility allowed cub petting and were breeding many of its tigers to make money. Toby is declawed on all four paws, so this changes the way he walks and carries his weight. He is a very nervous bobcat, who enjoys his quiet life away from the tour path. The population of bobcats ranges between 2 and 3 million individuals. Bobcats are capable of taking down prey up to 3 times their size. Bobcats get their name from their short, bobbed tails. Bobcats live all over the United States, up into southern Canada and down into Mexico. In some areas bobcats are considered vermin; their numbers are increasing on the east coast due to the absence of cougars. Bobcats help keep down the rodent population and are therefore a keystone species. Bobcats are the only wild cat left on the east coast and in North Carolina. 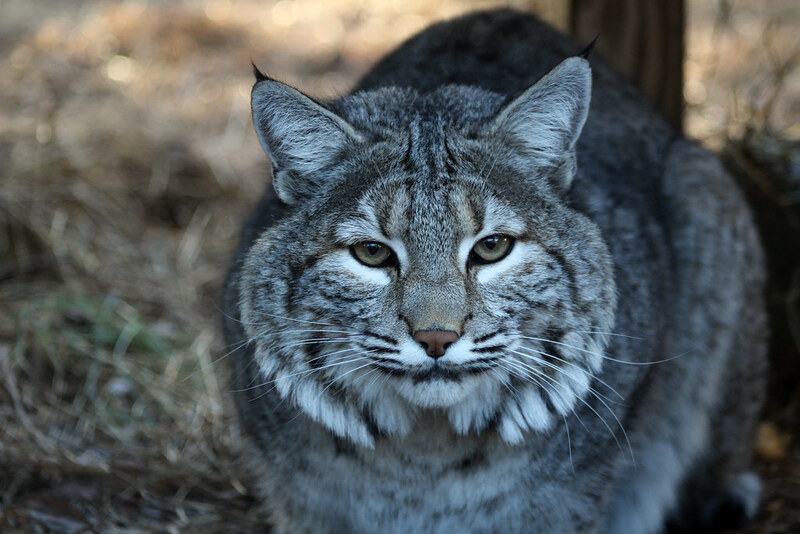 Bobcats are legally harvested in 38 states for their fur. It is important to know and understand that every animal in our ecosystem is vital to its balance. Without cougars, the bobcat and deer populations are larger, which has a massive impact on our ecosystems.